Memory Maker - Pixie & Pirate Destinations *|* Wishes become memories. One dream at a time. Imagine all of those magical moments that will happen on your Walt Disney World Vacation. Now imagine that Mom or Dad who usually takes all of the photos is now in them with the family. Disney PhotoPass photographers will help you capture all of those magical moments. Whether you have your DVP add Memory Maker to your vacation package or your purchase it separately, you will have to connect it to your My Disney Experience account. If you purchase Memory Maker as part of your package, when you link your Resort Reservation number to your My Disney Experience account, it should link automatically. If you purchase it separately, you will have to manually link your Memory Maker to your account. Once you arrive at Walt Disney World for your vacation, all you have to do is provide your MagicBand to the PhotoPass photographer. You will have 45 days from the time each photo is taken to edit them and download them to your computer. You will no longer be provided with a CD. All photos will be provided as digital downloads. Can Memory Maker be pre-ordered? Yes it can and for a savings as well. Check out the link below to pre-order Memory Maker. Also ask your DVP about adding Memory Maker to your reservation. You can also find PhotoPass Photographers around these locations throughout the day. Special Events and other locations: Special photo locations will be made available during Mickey’s Not So Scary Halloween Party and Mickey’s Very Merry Christmas Party. · Take a photo of the back of you PhotoPass card in case it is misplaced. · Have the PhotoPass photographer take a photo with your camera as well. 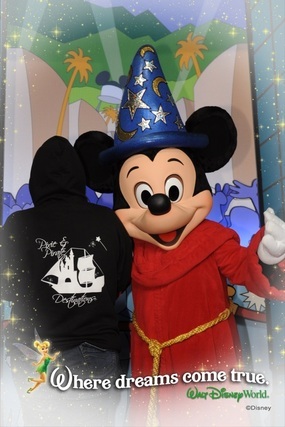 · Ask about “Magic Shots” – in special locations, the photographer can add special effects to your photo, such as holding Tinker Bell, Captain Hook or Stitch! Still have questions about the Memory Maker? Contact your DVP or request a quote today!